Diana Marques completed a Biology degree (College of Sciences, University of Lisbon) and several drawing and science illustration certificate programs in Portugal before graduating from the Science Illustration Program at the University of California, Santa Cruz, in 2004. Diana has run her freelance business for fifteen years, creating scientific illustrations, animations, information graphics and an assortment of other visual communications in collaboration with museums, publishers, and researchers. Her work can be seen in postal stamps from the United Nations, on the walls of some of the major natural history museums, and in many scientific journals. She was an Assistant Lecturer teaching Scientific Drawing at the Drawing Master Program of the Fine Arts College of the University of Lisbon. She was a Guest Lecturer at two other Portuguese science illustration programs and has instructed countless workshops on the subject. Diana recently completed a Ph.D. in Digital Media. 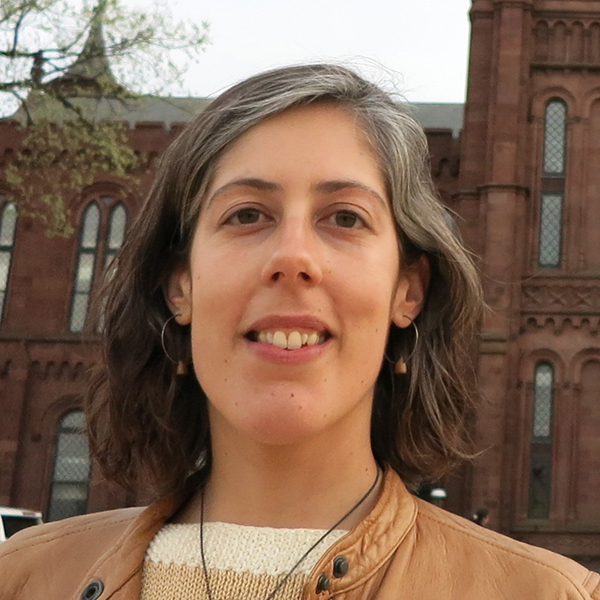 Her doctoral research took place at the Smithsonian’s Natural History Museum and focused on the museum visitors' experience with Augmented Reality technology. Throughout her career, Diana has been a part of multiple professional associations, having attended over 30 conferences, delivered more than 20 presentations and published 13 papers. She has been a member of the Guild since 1999 and has served on the GNSI Board of Directors since 2015, first as Membership Director and more recently as Outreach Director. In 2016, Diana began developing a strategic plan to use social media as a way to engage people with GNSI conferences. The purpose was to 1) reinforce the sense of community within participants, 2) give non-participants an opportunity to follow remotely, and 3) produce assets such as videos, photographs and written content that perpetuate and disseminate the value of these events. Since 2016, she has recruited and trained social media mavens to cover the core conference and has worked with them in planning a schedule and choosing the best communication methods. She has defined and improved the role of the GNSI Social Media Coordinator, the person who throughout the year ensures that Guild and science illustration news is carried on Facebook and Twitter to the many GNSI followers. Diana has worked with very dedicated GNSI members who have made the improvement of GNSI social media possible – they are Kapi Monoyios, Fiona Martin, Kirsten Carlson, Kelsey Jordan, Jen Burgess, Jenn Deutscher, and Brooke Weiland. Together they have harnessed the technology, and informed, educated and amused hundreds of followers.